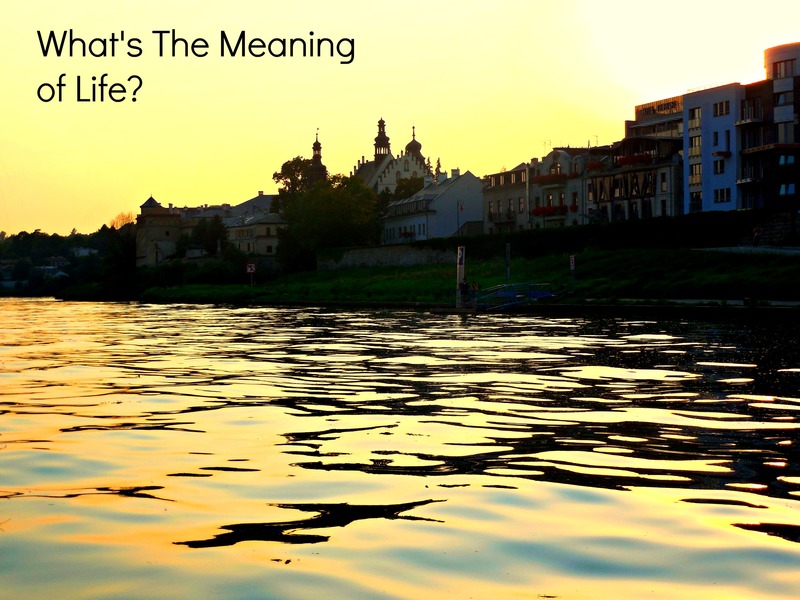 What About Life and It’s Meaning? May I dare ask, what is the meaning of life? Do you ever ponder and look up at the blue sky or the stars in the night and wonder, how has this wonderful world been created? The meaning of life is to experience. Living life is experiencing the sun on our faces. It is feeling the moisture of the wet dewy grass on our toes, and it is to feel the wind in our hair and the warm or cold breeze that comes and goes. Life is walking on hot blacktop, or cold tiles with bare-feet. Life is experiencing the birds chirping and singing song after song. Living is to kiss and hug, roll around in the dirt and then doing it again. Life is tasting the wonders of the world both sweet and sour, spicy and tangy. Living is laughing and enjoying every moment as if it were your last. Life is a struggle which makes everyone stronger. Living is suffering, and then realizing that with pain we all have something to gain. Life is about giving rather than receiving. Living is wanting to give more and more. Life is enhancing others lives by taking potential and turning it into something better. To suppress others from living is truly wrong. By locking others up, and sheltering them from experience, it is shameful for humanity. Everything that is living in the flesh has a desire to sense life and feel what it is to be free. While our energy can be felt and spread, it is up to us to spread divinity, wisdom, kindness, and love. Through our experiences we are transformed. All of our experiences are translated like electrical impulses spreading past the boundaries of time. To experience is to see, taste, touch, hear, smell, and know. To experience is to know what it is to live in the present, not the past, nor the future. When you look back at life, ultimately it’s a composition of the collective experiences stored in our minds. The mind is like a hard drive where information gathers and spreads. We are all life, and we are all energy combining to make this world what it is, and what it can potentially be! This entry was posted in Experience, Life. Bookmark the permalink.